Manchester United are reportedly interested in Flamengo midfielder Lucas Paqueta, with PSG also in the running to secure the Brazilian’s services. At 21 years of age, Paqueta already has two Brazil caps to his name and is widely considered to be one of the hottest prospects in South American football. Currently plying his trade in his homeland, the dynamic attacker has scored six goals and contributed six assists in 28 appearances for Flamengo this season, impressing fans and experts alike with his skill in possession and impact in the final third of the pitch. According to Le 10 Sport, his performances have already caught the eye of French champions Paris Saint-Germain, who tabled a £35 million bid for the starlet back in January. However, the Parisians could now face fierce competition for Paqueta’s signature from Man United, with Le 10 Sport reporting that the Red Devils are ready to go up against the French giants to secure a deal for the player. Old Trafford boss Jose Mourinho has a plethora of attacking talent at his disposal in Manchester already, with the likes of Alexis Sanchez, Anthony Martial, Jesse Lingard and Romelu Lukaku all on the books at the club, but the team has often been labelled as unimaginative going forward in recent times. 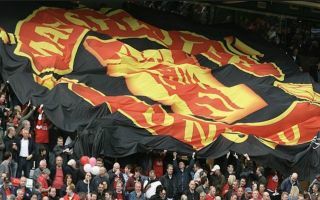 United tend to grind out victories nowadays rather than blow their opposition away with fluid, forward-thinking football and could well be in need of greater creativity in the middle of the park. Paqueta certainly has the talent to give Mourinho’s men a different dimension and with the best years of his career still very much ahead of him, the midfielder has plenty of time to develop his game further. This particular story could be a prominent one when the transfer window re-opens and United supporters will surely welcome talk of such an exciting prospect potentially arriving in England in the near future.